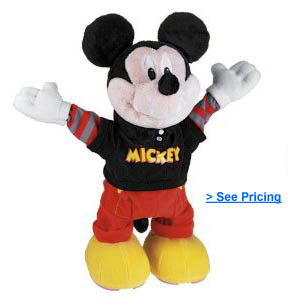 The Dance Star Mickey by Fisher Price may end up being one of the “hard to find Hot Toys of 2010”. As if Mickey Mouse isn’t cute enough already, Fisher Price has turned up the cuteness even more with the new Dance Star Mickey. He walks, he talks, he dances! Mickey has multiple songs and each song has it’s own unique dance. 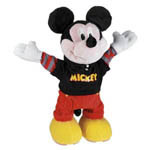 Dance Star Mickey is perfect for kids 18 months old up to around 6 years old. We did a little “in store testing” with one of our favorite 3 year olds. Watch the video and see for yourself as her face lights up as she dances along with Mickey!